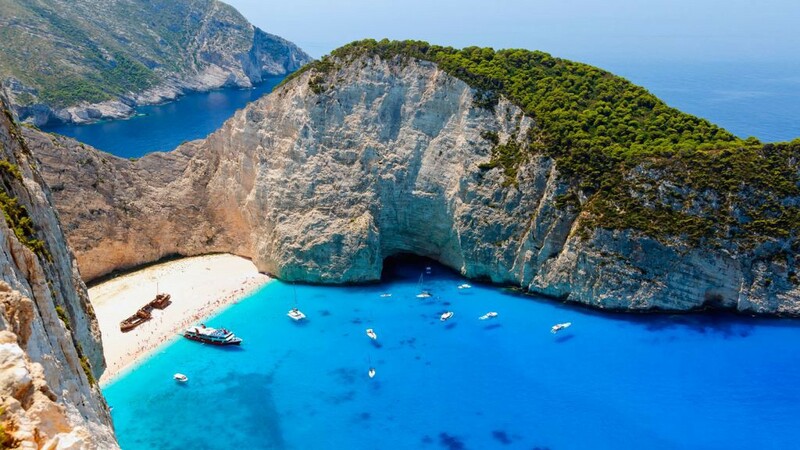 Top Yachting Destinations in Greece. Ever wondered which could be the ideal yachting destination? Greece and the Greek islands seem to be the one-way answer. The idyllic landscape in combination with the contradictory, though complementary, elements of nature, offer a unique sailing experience in the crystal waters of the Greek seas. 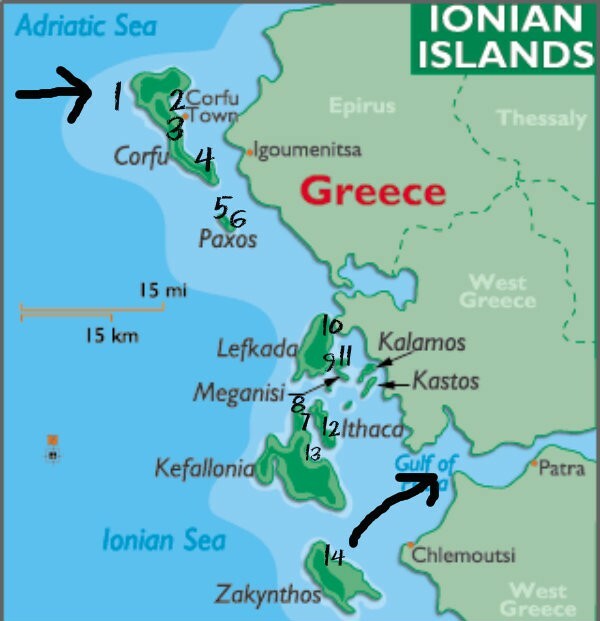 Both the Ionian and the Aegean Sea list a lot more than 1.200 islands that are grouped in several island complexes: the Cyclades, located at the main part of the Aegean Sea, the Sporades at the north coast of Euboea, the Argo-Saronic Islands in the Saronic Gulf, the Ionian Islands at the west part of the mainland, Dodecanese at the southeast and other more limited island complexes, all promise a thoroughly sailing experience: exploring nature and hidden gems, like bays and marinas, unforgettable cosmopolitan nightlife, breath-taking sunset views, relaxing vibes, delicious food and numerous other aspects of island life. Obviously, it is more than difficult for one to find out the top Greek destinations suggested for a one-in-a-lifetime yachting experience. However, we have to admit that the majestic, picturesque landscape of the Ionian Islands may be the reason why this complex is considered to be the most worth-visiting vacation hub in the Mediterranean Sea. Below, is presented a list of the top Greek vacation islands along with well-qualified marinas that can ensure a pleasant host and an unforgettable experience. As a starting point, Corfu is one of the most cosmopolitan islands of the Ionian Sea, attracting numerous of visitors and yachters every year. The beautiful landscape satisfies even the most demanding sailor, as the island is full of green sceneries and majestic beaches. 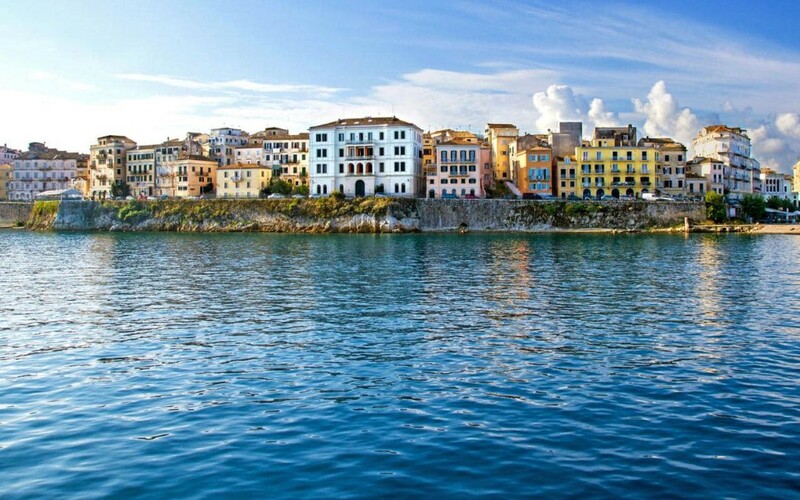 The town of Corfu is located at the east coast of the island and is consisted of the new and the old one. Taking into consideration that the island had not been incorporated to the Greek territory until 1864, Corfu has been downright built and designed to the standards of Venetian influences and has been maintained like this until today. We could say that Corfu is the most well maintained Venetian island throughout the seven islands that compose the Ionian Islands complex. Corfu is ideal for all types of visitors: for those who seek for relaxation with family, for romantic couples or for the adventurous ones who seek for exploration, fun and clubbing. You don’t have to miss a visit at the Palace of St. George, try scuba diving in the crystal water of the Ionian Sea, stroll around the paved streets of the old and new town, visit the famous Pontikonisi island and cherish the view of the venetian castles. 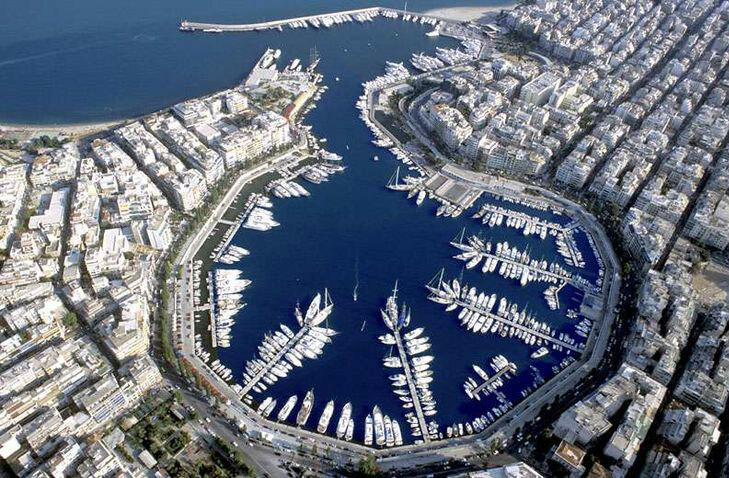 For sailors, Corfu is a great choice as well, as the island has incorporated a high standard marina with large capacity, relatively close to the main harbor, named Gouvia Marina, which is the first privately owned marina in Greece. 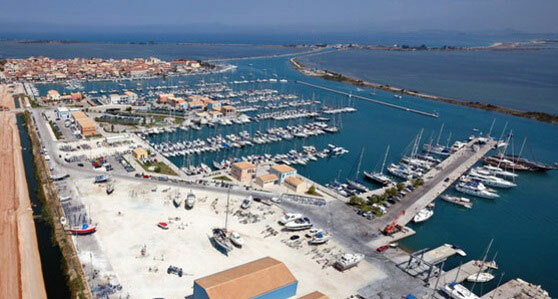 Marina’s services can undoubtedly guarantee a pleasant stay, making your vacation unforgettable! Next stop: Lefkas. Lefkas is undoubtedly one of the most exotic Ionian Islands. Combining white high cliffs and green mountains along with endless crystal blue waters in beaches with white sand, like Porto Katsiki, Egremni and Kathisma, Lefkas has no need to be jealous of the eclectic beaches of the Caribbean. Sailors have the opportunity to cherish a pleasant trip at the Ionian waters and capture the outstanding view of the rocky and green scenery of the island that creates a breath-taking contradiction to the surrounding deep blue. In Lefkas, there are numerous hidden gems and private beaches that can only be approached by boat; therefore sailing around the island is more than amusing for yachters and explorers. Except for the exploring opportunities that the island’s landscape can offer, Lefkas is also an ideal destination for every type of vacation that each one may seek for; families, couples, friends, etc. Sailors here have numerous of choices at their disposal on how to spend their holidays, like fish taverns mainly located at the small villages at the inner core of the island, coffee shops and shopping stores at the central shopping area, museums and archeological sightseeing at the historical center, qualitative restaurants with delicious food that cover every taste or exclusive bars and clubs that reveal the legendary Greek nightlife. 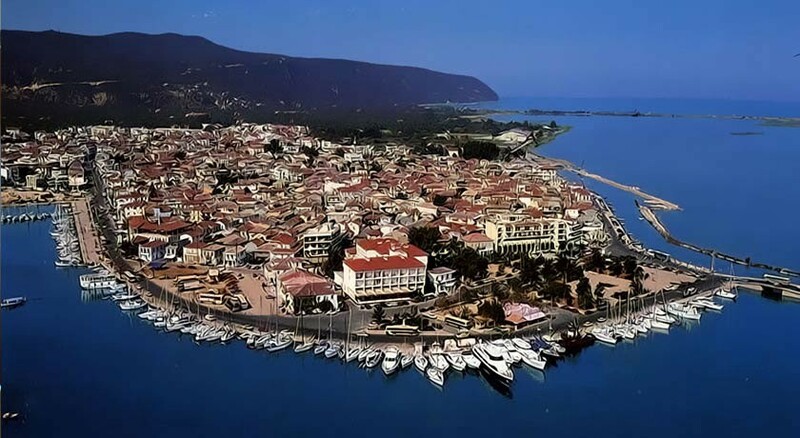 The town of Lefkas is perfectly designed so as to provide the best services to the visitors, as well as Lefkas Marina (located right beside the main harbor) that is hosting the sailors, which is equipped with high standard facilities and guarantees a unique experience. A small paradise with a great natural splendor to flaunt. Located between Lefkas and Aitoloakarnania (a region at the west mainland), Meganisi is the largest island of the Princes’ Islands complex and belongs to Lefkas territory. Only 3, 6 nautical miles away from Nidri (Lefkas) and you have reached a majestic, quiet paradise that combines beaches with crystal waters, lush, picturesque villages, blue caves and numerous hidden bays. Sailors have here the opportunity to minimize the cosmopolitan rhythm of Lefkas or Corfu and find the peacefulness that nature can offer. Meganisi is considered to be one of the best Greek yachting destinations, since it offers a unique experience to the visitors, while at the same time is surrounded by the legendary islands of Ithaca, Kefallonia, Zante, Paxos, etc, that are also suggested for island hopping vacation. 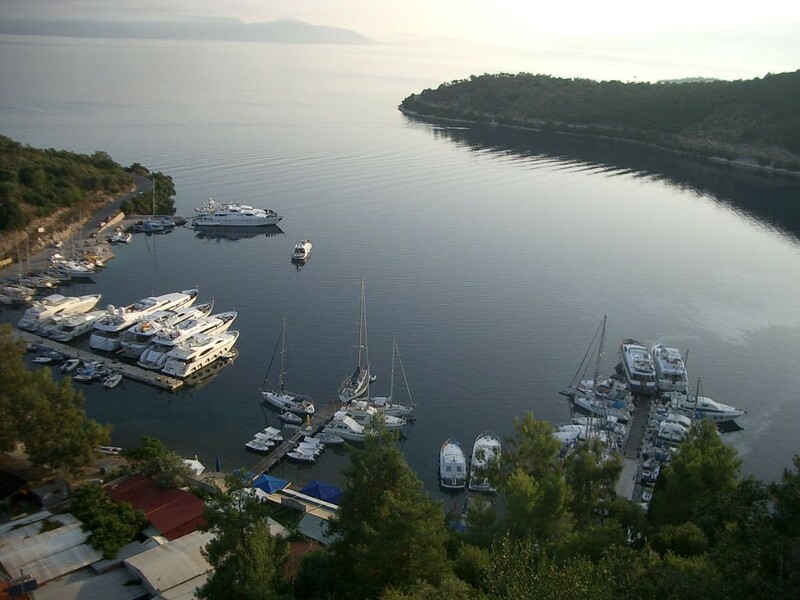 Sailors can cherish an unforgettable host at Meganisi Marina Odyseas, located alongside the scenic Vathy village, the premier marina facility at the Ionian Islands, which is at the disposal of the sailors to provide them with every single luxury that marina encompasses. Of course, island-hopping as an alternative way of spending vacation is remaining a very attractive option, especially when it comes to yachters. If you are a sea lover, sailing from an island to another is a majestic experience, as the view of the picturesque landscapes embraces the soul with peacefulness, relaxation and good vibes. Paxoi, Ithaca, Zante and Kefallonia are the best island-hopping Greek destinations at the Ionian Sea, as the calm winds contributes to a pleasant sailing, enabling the yachters to collect as many unforgettable memories as they can! These cookies are used to improve our website and provide more personalized services to you, both on this website and through other media. © Sammyacht.com 2016, All Rights Reserved.